Third time’s the charm? 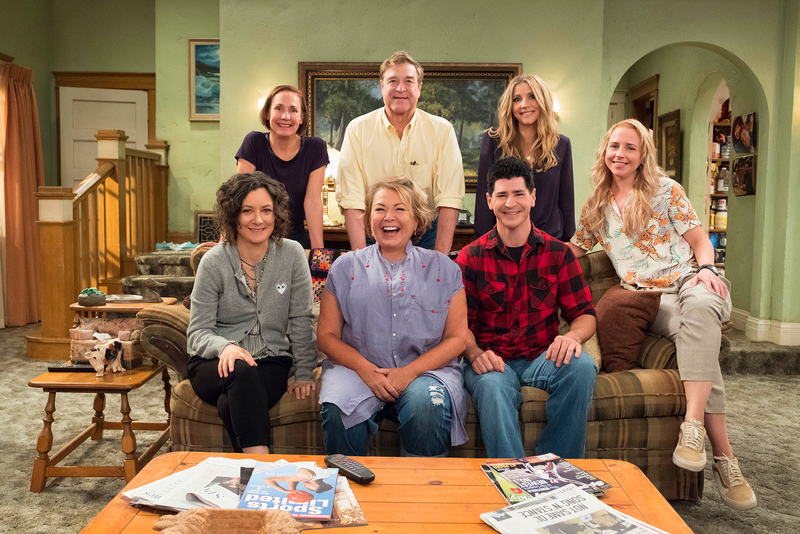 ABC has officially picked up a Roseanne spinoff with the working title The Conners, the network announced on Thursday, June 21. John Goodman (Dan), Laurie Metcalf (Jackie), Sara Gilbert (Darlene), Lecy Goranson (Becky) and Michael Fishman (D.J.) are set to return as their beloved characters. The series is expected to premiere this fall with 10 new episodes airing Tuesdays at 8 p.m. ET. “The Conners’ stories demonstrate that families can always find common ground through conversation, laughter and love. The spinoff will continue to portray contemporary issues that are as relevant today as they were 30 years ago,” the network said in a statement. The news comes three weeks after the hugely successful reboot of Roseanne was canceled in the wake of star Roseanne Barr’s racist tweet about former Barack Obama adviser Valerie Jarrett. Barr, 65, later deleted her headline-making post, apologized and claimed she had been “ambien tweeting” at the time. ABC confirmed on Thursday that Barr will have no financial or creative involvement in the spinoff. Additional cast members and a premiere date for The Conners will be announced at a later date.